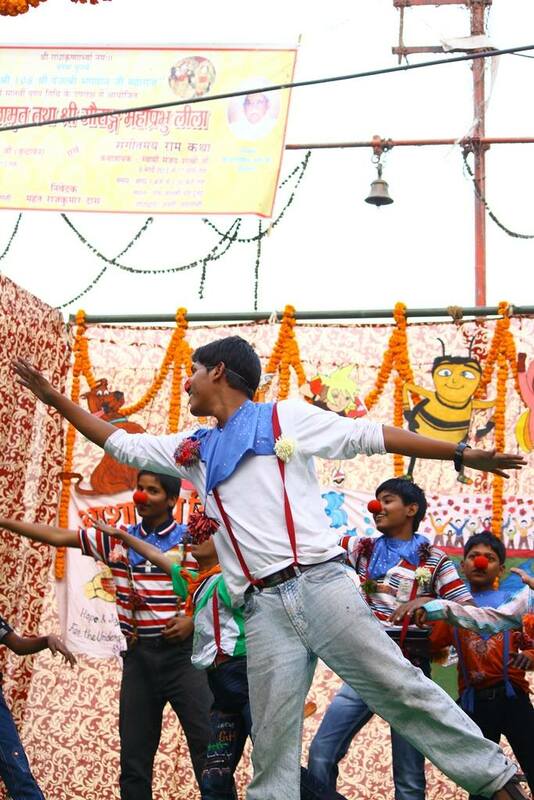 Manish leading the clowns in the 2015 Asha Deep spectacular. 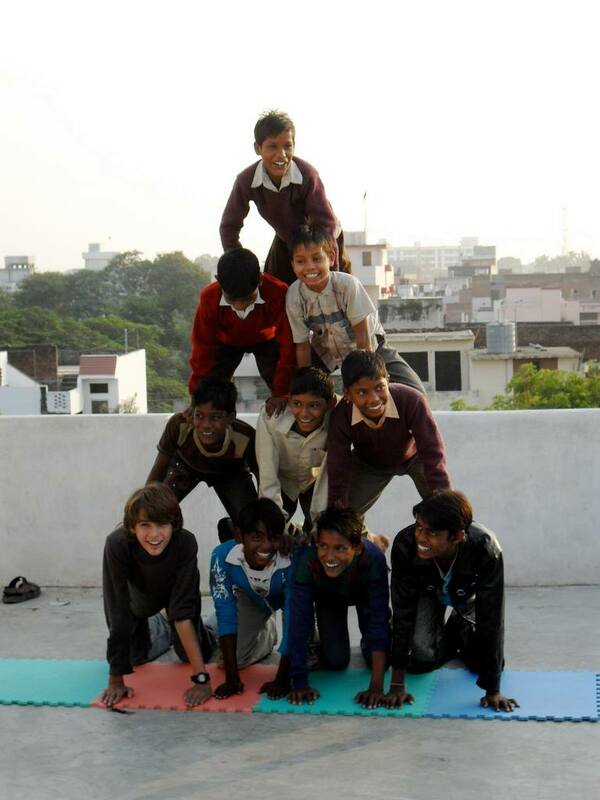 When PWB did their first tour to India in 2007, we met Manish (then aged 11) at Asha Deep Vidyashram (ADV) in Varanasi. Manish has been involved with every PWB tour since then, the last 3 years joining the PWB team to Darjeeling to teach and perform alongside them. He started Happy Talent Group (HTG) Nagwa, a group of Asha Deep students who perform locally and taught others the skills they have learned from PWB. Manish is now living in Delhi, studying Graphic Design and keeping up with his love of circus as well, by performing and teaching in Delhi. PWB are very proud of everything that Manish has achieved and here he shares his story of his involvement with PWB, written in english to our 2017 India co-ordinator Avi Chertok. I have only changed the bare minimum of spellings/grammar for your ease of reading, as I prefer to read Manish’s own words. I hope you do too! Well, My name is Manish Kumar Ram from Varanasi the oldest city in the world we but we are not old people (some of them) Some characteristic like where i live is the most durtty (dirty) and uneducated smelly – as much as you can imagine what is bad on earth, even people use our cost(?) name to swear there kid haha it always make me laugh, though my family was living there i don’t know how long we don’t have a record or photo to proof ,but these all is just a rummer (rumor)that we are durtty or bad ,i know there is problem or you can say big big problem but we still surviving and trying to make our self educated,and circus is playing a best role so change our self and show people we are also can be better ,ooh that was to much , Avi sorry, I am coming to my story, so its began. I was not a good student i dropped (out of) 3 school, and then i gave myself a one more chance so i went ADV (this is the school we will teach at), over there also i was not doing well . but it was different teachers was nice to me and study was also different the other school. (The) best part was i don’t need to wore a uniforms. and wash them so (they) are clean. Then one day i came to school and white people were there but they were also different they were so friendly and not scary some of them wearing a hat which was cool..so they did a circus show, next day they on the evening they come to teach circus , first time i met someone i don’t remember her name, she called me and i don’t know what she say saying but she gave me plate showed me how to use it i was trying and playing with that i really like that, it was a coolest thing i did entire of my life, i said so myself. I saw Jonny and Matt , Tom and Steve who though me how to balance object on (my) nose, I did a performance near the Ravidash Park. 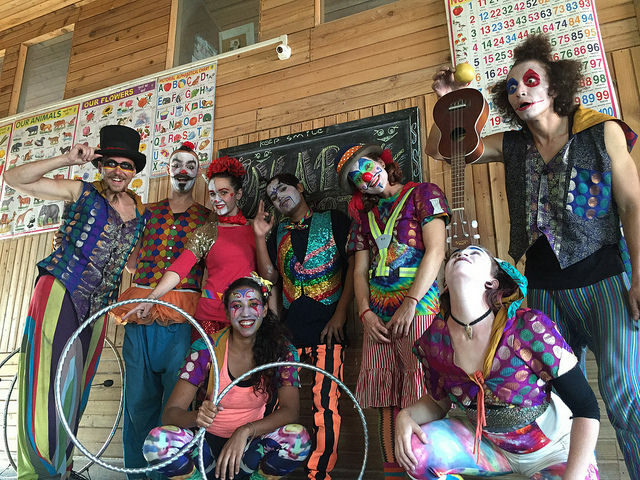 (note here from PWB – since this first ever show, the now annual Asha Deep show has developed into a 3-4 hour spectactular, with a stage, sound, lights and performances ranging from theatre to comedy, dance and of course circus and fire!) Next month they went back where they came from, so i saw one of my friend was doing Poi he was so good at it i ask him can you teach me that , so he taught me 1 beat because only that much he knows so i started learning poi. 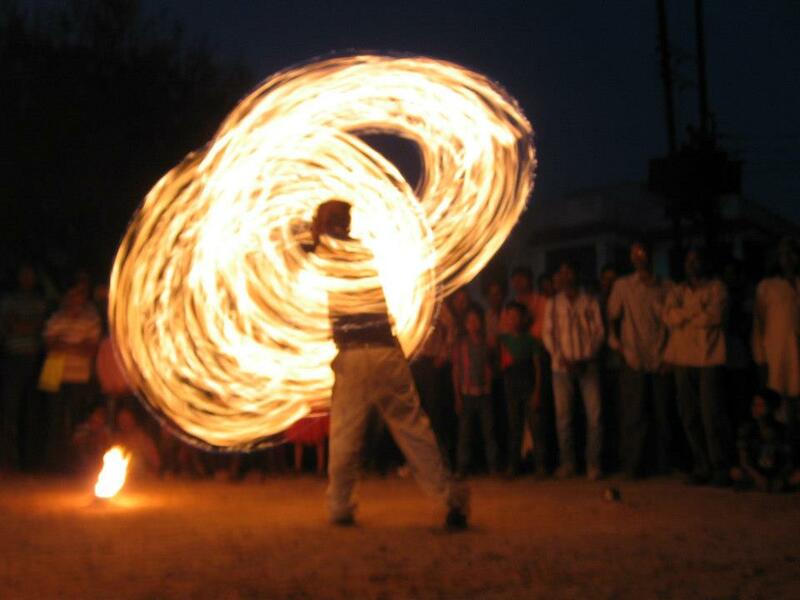 Next year they came back , i met Emily and she was so great, she taught me poi but there was lot of options – games and rolla bola, full of circus, i wanted to do every things,so that how is goes, till i did poi with fire. First time fire I am in love with fire,in that moment. I became famous and start (to become) proud (of) myself ,yeah i am so good better then everyone, start thinking myself bigger then other(s) , so poi (was) no longer a happiness or joy, it was become a compaction for me. I was not enjoying i was just making myself better but there was no fun at all, i was not enjoying circus at all. Until i get the chance to go to Darjeeling the children start reminding me off my self ,and i start feeling fun and joy. Again it was a changing part of my life, it happens because of PWB. I did 3 times (PWB) Darjeeling tour each time was great, now i am Delhi and sharing circus with others. Thank you PWB. Shanti SHanit like small victory. You are currently browsing the Performers Without Borders blog archives for December, 2016.